Bankruptcy Information | Business Bankruptcy: When, How, and What Kind? Home > Bankruptcy Basics > Business Bankruptcy: When, How, and What Kind? 02 Mar Business Bankruptcy: When, How, and What Kind? If you own your own business, and that business is in trouble, or even just not doing as well as it once was, among the tools you should consider using is a business bankruptcy. If you want to continue to operate your business, but restructure its debt, your options are Chapter 11, which is a business reorganization, and Chapter 13, which is a personal reorganization. (In contrast, a Chapter 7 is a liquidation.) How do you know which is the best choice? Like any other bankruptcy topic, the answer depends on your situation. Factors that will go into determining which is the best option include how the business is organized (sole proprietorship, corporation, partnership), how much total debt the business owes, how much debt you personally have guaranteed for the business, and even how much personal debt you have. Your business assets as well as your personal assets may be a consideration. The most important factor of all may be how the company is doing, and what the prospects are for the future. Is the business on a downward slide, has it just hit rock bottom, or is it improving, but not fast enough to keep up with the demands of creditors? There are some parameters that may make the choice easier. For example, if you have a corporation, and there is very little crossover between the corporate debt and your personal debt, Chapter 11 may be your only option. On the other hand, if your business is unincorporated, or you’ve run it out of your back pocket, without a lot of separation between personal and business assets and liabilities, Chapter 13 may seem a better fit. But there are always circumstances that can turn a typical case on its head. The only way to make an informed decision is to consult an experienced bankruptcy lawyer, and go through the process of examining both the legal issues, as well as the practical issues. Legal issues include things like debt limits, and how business debt is collateralized. Practical issues include whether you need financing to continue to operate, and whether the value of your business is worth preserving given the cost of bankruptcy. Are you getting the sense that the decision to file bankruptcy requires a great deal of thought and planning? I hope so, because that is the central message here. I would say that in almost every case planning makes all the difference. You’ve heard about big companies filing bankruptcy. Most of them do so only after weeks or months of planning, communication with lenders and other parties, and hiring consultants and other professionals to help in the turnaround process. A small business may not require quite the same level of planning, and it may not be economically feasible to hire turnaround experts, but the more planning, the better the outcome is likely to be. Some large Chapter 11 debtors even go into the filing with a reorganization plan already approved by creditors, called a prepackaged, or “prepack” Chapter 11. That doesn’t work with every case, but it certainly helps eliminate some of the uncertainty of a bankruptcy reorganization. Even if your reorganization isn’t going to be a pre-pack, your reorganization plan should be a part of your thinking from day one. It is easy to get caught up in the mechanics of the bankruptcy filing–the paperwork, the meetings, and the administrative tasks–and overlook the long-term planning. 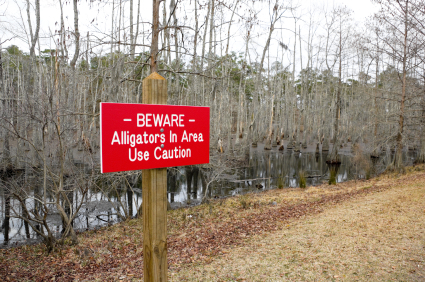 Or, as we like to say around here, get so busy fighting alligators you forget to drain the swamp. You should go into a business reorganization with a clear idea of where you want to end up. For example, your goal may be to extend short-term liabilities into long-term debts, or convert debt to equity, or even find a buyer for the business. If you are just sort of vaguely thinking that bankruptcy will buy you some time to turn things around, you are probably wasting your time and money. Time can certainly help, but you need to have a plan to make it work for you. And if you wait until the absolute last minute to consider bankruptcy, or even to file bankruptcy, you are depriving yourself, and your business, of a lot of the benefit of a bankruptcy reorganization. If you feel your business is in in a downward cycle, and maybe especially if you think things are looking up, but you are carrying too much debt because of a downward cycle, consult an experienced bankruptcy lawyer who can help you work through the options and plan for a more prosperous future.